“I enjoy being part of every aspect of the company,” Martin says. 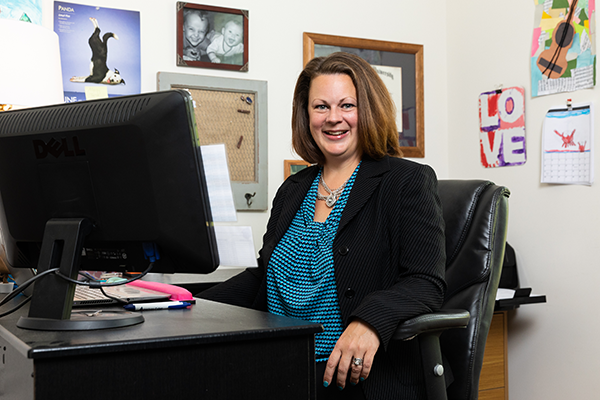 Amy Martin has schooled herself on the intricacies of government contracts since joining Chantilly-based American Cyber Inc. in 2013. The woman-owned company provides IT support to the federal government. In addition to her duties as CFO, Martin’s responsibilities include all contract administration and human resources activities as well as developing and auditing internal processes and procedures related to its International Organization for Standardization (ISO) 9001, 20000 and 27001 certifications and its Capability Maturity Model Integration (CMMI) Level 3 services appraisal. Martin, a self-described Army brat, has been interested in numbers since she was young. “I’ve always been a math girl,” says the James Madison University alum. American Cyber received SmartCEO magazine’s GovStar Award for the best emerging company in 2016 and has been named to Inc. 5000’s list of fastest growing private companies in the U.S. for the past three years. Martin was instrumental in American Cyber being selected for participation in the Department of Defense Mentor/Protégé Program. Last year, it received the DoD’s Nunn-Perry Award, the top recognition for a protégé company.